Surya's next venture after 7aam Arivu, Mattran, to be directed by KV Anand will kick start with its hoot from the 10th of April states reports. Surya is currently located in Chennai for the song sequence shoot of AR Murugadoss's 7aam Arivu, which is said to be a costliest song in Tamil movie. The movie's production is taken care by Kalpathi S Agoram, under the banner AGS Entertainment. 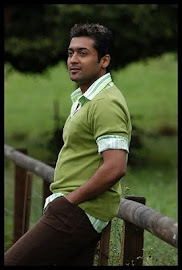 It is said that Surya will be playing Siamese twins in the movie. Siamese twin also called Conjoined twin, are identical twins whose bodies are joined. The film's music will be scored by Harris Jayaraj. KV Anand is currently busy with the promotions of his upcoming film KO, while Surya will be finishing his world with 7aam Arivu and begins the shoot for Matran.